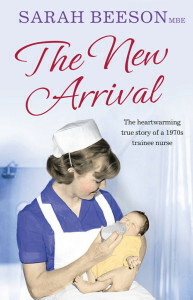 Sarah Beeson MBE `The New Arrival: memories of nursing in 1970s Hackney’. Sarah’s book entitled The New Arrival, Harper Collins 2014, tells the story of her training at Hackney Hospital. Refreshments will be served from 6.00pm. If you would like to attend this event, please book your place with Hackney Archives Department (020 8356 8925 or email archives@hackney.gov.uk).